My Daily To Do List Printable is my planner’s key page for keeping my day organized. I spent a lot of time searching Pinterst, Etsy and Google for just the right to do list printable for my planner. I had specific ideas for my reminder lists but could not find the right one that met my vision for what I needed. Besides the basic to do list I wanted to have daily reminders to be creative each day, to simplify my life, to focus on attitude goals for the year and to bless my husband each day. I also wanted it to be a clean crisp design so I could decorate each page with Washi tape, stickers or my own drawings. So what was I going to do when I couldn’t find what I had envisioned? Make my own of course. I have 10 columns that I created to keep my day organized and productive. First on My Daily To Do List is the must do column. These are things that I must get done by the end of the day. If I don’t get to anything else on my list it’s ok because at least I got the must do column done. Next, is my hope to do column. These are tasks that I really would like to complete with the realization that if I don’t get them all done I have not failed, I just move them to the next day’s hope to do list. The next two columns are my appointments and a list of people I need to call, text or mail. These are little reminders of places I need to go or communications I need to make with others. This year I am trying to simplify my home. My mother passed away last year and I had the job of cleaning out her home. Bless her heart, she loved to save everything for the just in case situation. Many things really had no meaning, no purpose or value. This has caused me to start looking at my own home questioning its contents. I have decided to start going through our home doing a small task each day to simplify our contents and in the process organize areas of chaos. It’s easier to keep a home clean when it’s not full of unneeded items. I look at items and ask myself does this item add meaning or purpose to our lives? Does it evoke a special memory of a family member or friend? Would someone else enjoy this more than myself? Does this item really just need to go in the trash? Each day I write down under my simplify/organize task one small area in the house to go through the contents and ask these questions. I have a special box to put all the things I’m purging in so they can easily make the journey out of our home. As a mom to 6 I have found that it’s good for a mom to do something small each day that makes her happy. It might be something simple as fixing a special cup of coffee with froth and cinnamon on top. To remind myself to do this I added the column just to make me happy task to my to do list. 2015 is the year I’m going to be creative again! After managing a large family and homeschooling for almost 20 years I have found that I have put a side the time to do something that brings me great joy, being creative and artistic. Now that many of my children are grown and married and I’m down to schooling my two youngest children through high school I find that I have a “little” more time in my day. This is why I added a column called do something creative to help me keep my focus on this goal during 2015. I might write down something that takes a few minutes or maybe a few hours. 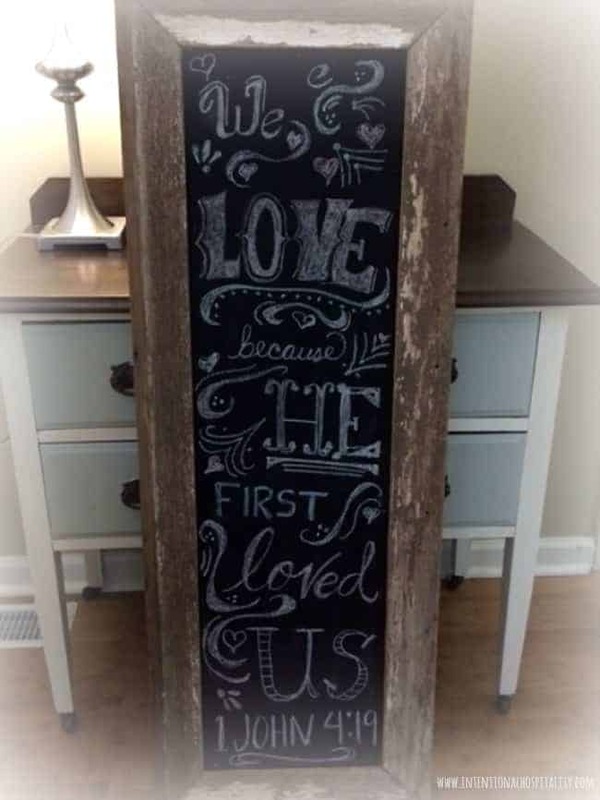 For example today I worked on practicing lettering my chalk board sign for Valentine’s Day. I also want to do some small blessing for my husband each day so I added the bless husband task column. 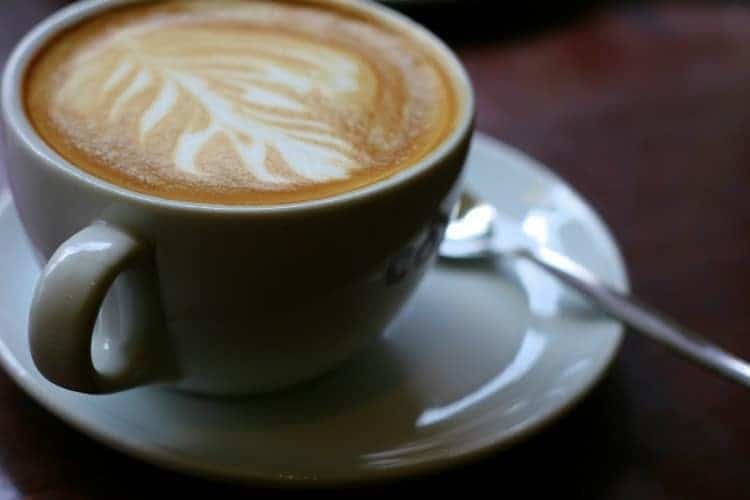 This might be somethings as simple as a quick text to tell him I love him or maybe fix him one of those special cups of coffee with froth and cinnamon on top. At the beginning of the year I spent some time pondering over ways I felt God calling me to live my life, sort of like an attitude for my daily walk. I made a list of about 25 words that came to my mind. Some of these words were fruits of the spirit such as joyful and peaceful. Others were words like creative, enthusiastic, vibrant and inspiring. I chose my top words and wrote them on a pretty card. I hole punched the card and placed it in my planner under my goals section. Each day I refer to this card and choose a word I want to focus on applying to my life that day by writing it under my attitude word for today column. If I see it I remember to focus on it. Last, I have a column for notes from my day. This is the area where I might write down special memories that occurred that day, an inspiring moment that happened or a special blessing God gave me that day. 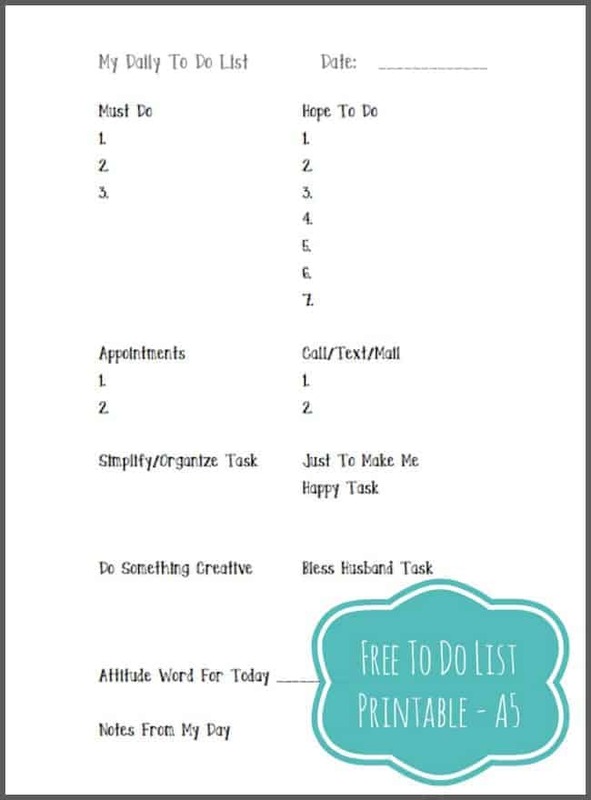 To download your own size A5 copy of My Daily To Do List printable just click the image below. Be sure to set your printer’s paper size to A5 before you print. If you prefer a standard US letter size then set your printer’s paper choice accordingly. 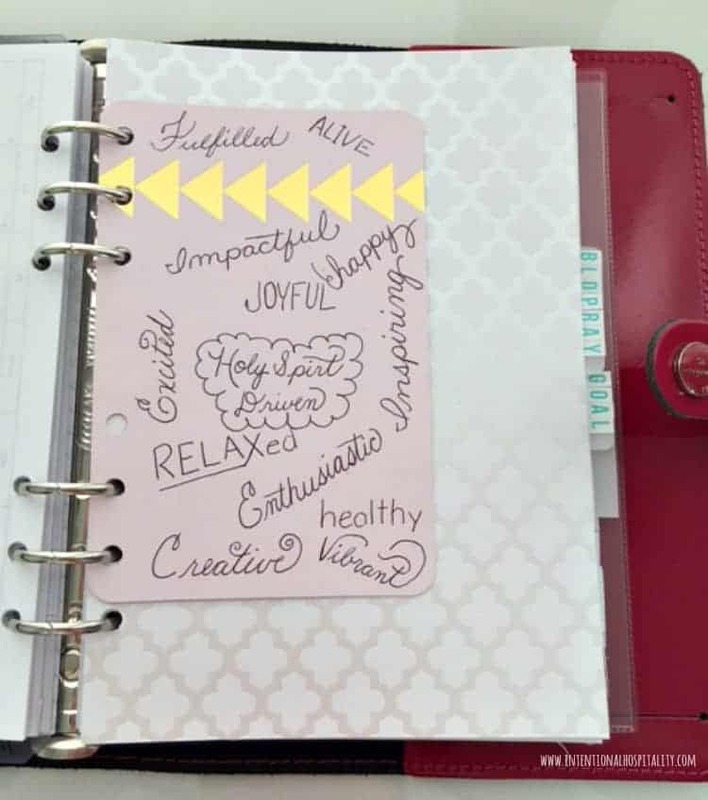 Are you looking for more creative ways to jazz up your planner? Check out my other post on how I set up my own planner. 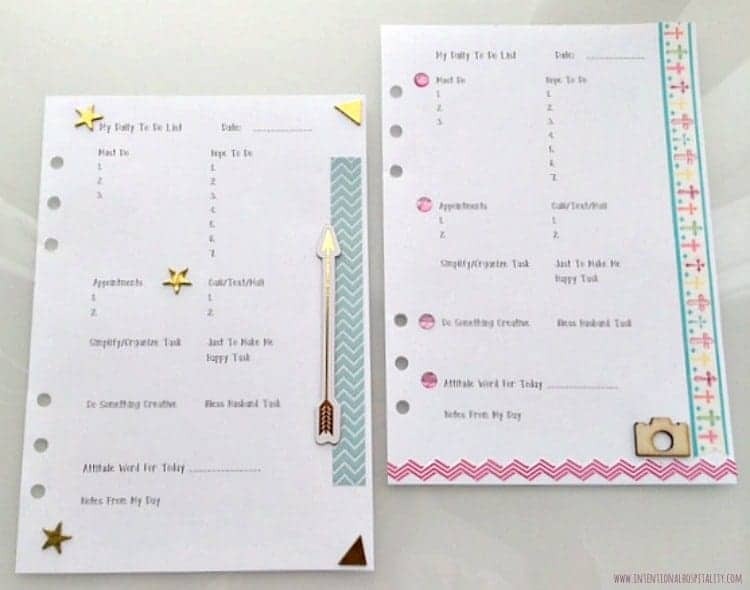 I love your printable list and all the different areas of life it incorporates! Thanks for sharing and making it available to your readers. Thanks Victoria. Now, I’m working on a prayer and thankful page. I’m hoping journaling my prayers will make me more intentional in spending quiet time with the Lord. I would like to change a few of the categories, is this possible?? On my tabs in the picture, I just printed and cut out the labels. Then I glued them on with a dot of stick glue. After that, I laminated them.